So, got my new i7 (3770k), but I think the stock cooler is a little underwhelming. Someone said it's possible and reccomended to up the fan speed in the bios - but is this wise? 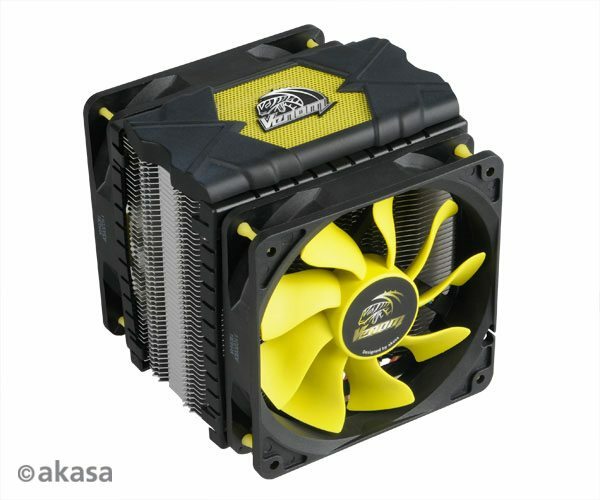 Alternatively, should I look to buy an aftermarket cooler, and if so, whats a good make/model for a decently cheap price? Well, as an example, my idle (ish) temps right now are 42-46º, while playing dota2 they can reach 60º ish, and TF2 brings them to 70-74º, which seems a little high to me. The heatsink and everything is all securely fitted correctly, but my ambient temps have always been high - my apartment is naturally hot as it is. Aye well you do live in a hot place..(damn You sir! damn you!) air cooling may not work best for you unless the apartment is air-con'd. i completely agree with this. if the temps are a problem get in touch with who sold you it. may be a faulty CPU or Fan. the stock cooler should be fine for whatever you throw at your non tweaked system. as far as i know the i7 is quite a hot CPU anyway under load. 90+ sounds a little high though. i have 1 of these on my i5 2500k @4.5 ghz and on bf3 and tf2 it never goes over 58. i know i don't have an i7 as stated in the op, but never the less i stand by this cooler. I have had one previously on my q6600 and it worked flawlessly on that to. do you live in a fridge? I have one of these on my i7 and its damn near silent and keeps temps nice and low. heuji wrote: do you live in a fridge?